Press release posted 9/22/16 – Sierra Madre Public Works Director Bruce Inman, a 19 year Sierra Madre employee, and Public Safety Director Larry Giannone, a 9 year Sierra Madre employee have announced their December 2016 retirement. City Manager Elaine Aguilar stated that, “Bruce has always been an instrumental staff member, and he seems to have unending energy and commitment. 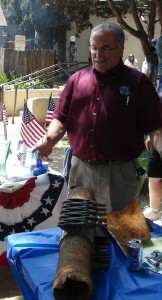 He has been involved in many of Sierra Madre’s accomplishments. He is one of the most service-oriented, dedicated, and hardworking members of the Sierra Madre team. He possesses a wealth of information and professional expertise and is the consummate professional.” Inman’s final date of employment with the City is December 16, 2016. Sierra Madre Public Safety Director Larry Giannone has also announced his retirement, effective December 10, 2016. Giannone began his employment with Sierra Madre in March 2007, as a Captain in the Police Department. He was promoted to Chief of Police in 2012, and then was appointed Public Safety Director in November 2014, overseeing both the Police and Fire Departments. 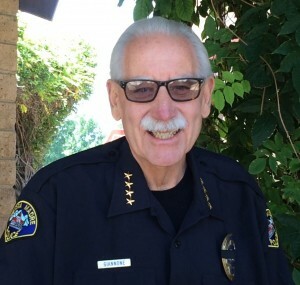 Giannone’s public safety career began 44 years ago, as a Police Cadet with the Huntington Beach Police Department. Recruitment will soon begin for the vacant management positions, with appointments to be made shortly after the arrival of the new City Manager. In the meantime, current City staff will be assigned to Interim Department Head or the Chief position until permanent appointments are made. Additional information will be forthcoming regarding the recognition of the outgoing staff members. For additional information, please contact the Sierra Madre City Manager’s Office at (626) 355-7135.